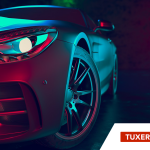 Tuxera releases Tuxera exFAT file system for the QNX Neutrino RTOS, bringing SDXC compatibility to the automotive industry. HELSINKI, FINLAND – September 22, 2010 – Tuxera Inc., the leading provider of interoperable exFAT and NTFS file systems, today announced that it has ported its exFAT and NTFS file systems to QNX Software Systems Co.’s QNX® Neutrino® RTOS, the leading operating system for in-car infotainment and telematics systems. Tuxera also announced that the read-write Tuxera exFAT file system for the QNX Neutrino RTOS is now available for immediate deployment. Tuxera NTFS for the QNX Neutrino RTOS was released previously. 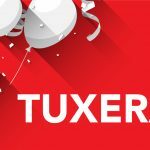 Tuxera’s interoperable file system solutions bring seamless plug-and-play interoperability to demanding audio and video applications. For example, in the automotive industry, manufacturers are adding USB and SD memory card interfaces to infotainment systems. NTFS support is needed if a consumer wants to plug in a portable Windows-formatted hard drive over USB. And exFAT support is needed if a consumer wants to plug in a next-generation SDXC memory card that is 64GB or higher. Tuxera NTFS and exFAT for the QNX Neutrino RTOS are now available for evaluation. Please contact sales@tuxera.com for more details. Tuxera is the leading provider of file systems that allow music, pictures, videos and other content to be ported across devices. With Tuxera file systems inside, users experience plug and play interoperability with their laptops, digital cameras, set-top-boxes, mobile phones and other consumer electronics. 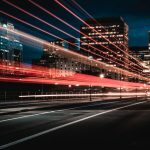 Building on the success of open source, Tuxera’s industry-standard NTFS and exFAT solutions for Linux, Android, Mac OS X and other platforms have over 30 million installations. 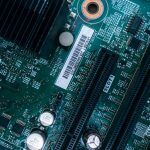 Close collaboration with Microsoft ensures reliable compatibility and helps Tuxera to set the standard in high-performance, low power use for embedded and mobile solutions. Tuxera’s customers include leading hardware, software, and consumer electronics companies. For more information, please visit www.tuxera.com.